Alex Len – This guy again? Sometimes a new jersey can lead to more opportunity. With Dewayne Dedmon out with an ankle injury, Len is going to start and could be a useful late-round fantasy center, who will provide cheap boards and blocks. DeMarre Carroll – All the hype is around Rondae Hollis-Jefferson and Caris LeVert, but I say we move our attention to someone who was startable last year in all formats. Carroll started last season very slowly, but ended up with a line of 13.3/6.6/2.0 and over a three per game. This is a veteran forward who will be on the floor a lot for a Nets team that will surprise. Marcus Smart – We’re only a few years removed from Smart being a dominant college ballplayer. Granted, we’re now in year 5 of the Marcus Smart experience, and he seems to have become a pretty easy read. Bad ratios, terrible turnovers, and great hustle stats. The thing with Smart is minutes. He is going to be on the floor guarding the best player on the opposing team more often than not. The Celtics matched the Pacers offer sheet for a reason. Buckets will come if he is smart, and you know he’s contributing steals and a three a game. He could provide sneaky value, especially if the injury bug returns to Boston. 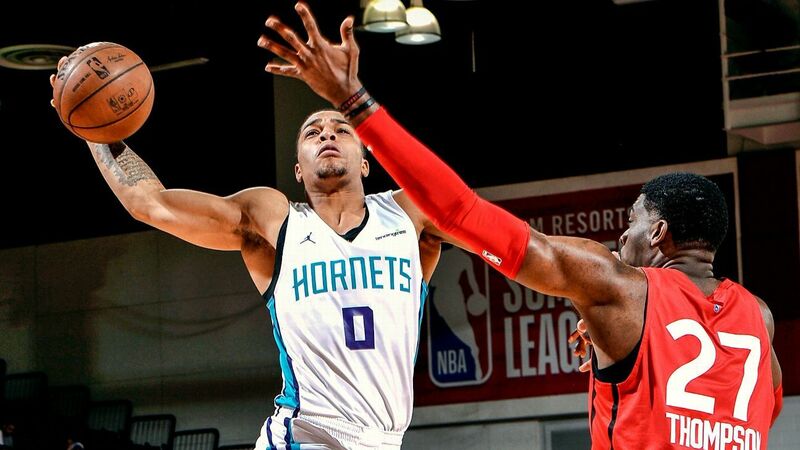 Miles Bridges – I wanted to go ahead and Free Willy once more, but it seems his sleeper stock has risen with his current play. If he out there and you need a big, Willy Hernangomez is a great catch. In terms of Bridges, he seems to be playing with a renewed sense of physicality since preseason began and we are seeing why Bridges was a potential top three pick two drafts ago. I think Bridges could make a fantasy impact as early as week 1, as he is rolling and playing all over the floor. Bobby Portis – He continues to get no love and is listed as the third power forward on the depth chart. The thing with Bobby Portis is that he only needs 20 minutes to make a fantasy impact, and we can all but guarantee he gets those minutes. Portis is a spark plug and can fill it up when he’s on the floor. Being a part of the second unit is great for Portis, as he has free reign to do as he pleases. This team could be underrated this year and Portis could be a big part of that second unit, and your fantasy team. David Nwaba – The easy pick here is Cedi Osman, but everyone is on him. If you’re looking real deep, Nwaba was great in his time on the floor for the Bulls last year before injury slowed him down. He is a gritty player who can fill up the stat sheet. The Cavs are giving Rodney Hood and J.R. Smith a longer leash, but pay attention to the rotations and see if Nwaba is eeking in some playing time. Once his role expands its time to make a move. Glenn Robinson III – Robinson was supposed to be a key part of the Pacers rotation, but injury forced him to miss the entire 2017-18 season. Now he’s with the Pistons and supposedly showing the athletic burst that got us excited about him last year. He may take some time to break the rotation, but when he does, there is potential for some quiet fantasy production. I am excited to see how he fits with Blake Griffin and Andre Drummond in the front court. Stanley Johnson is going to have to be great to hold Robinson out of the rotation. This is more of a wait and see than a stash. 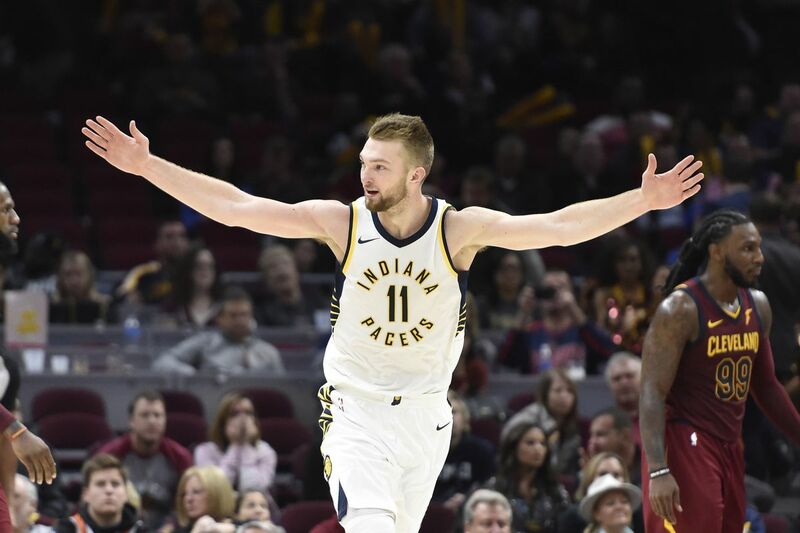 Domantas Sabonis – The hype train on Sabonis is leaving the station. People are starting to remember just how good Sabonis was last year. While he won’t get blocks and likely won’t get a ton of anything outside of points and rebounds, he may be on the floor a ton. Whether giving Myles Turner a break or playing next to him, Sabonis is going to play valuable minutes, and you have to think he will take a step forward in year three. Sabonis isn’t as good a passer as his father, but chipping in 2 assists per game is valuable at the center position, especially one picked in the late rounds. Justise Winslow – Another year of hope for Winslow. Nothing gets me more excited than a good post-hype breakout. As of today, Jimmy Butler won’t be ruining this for me, but that could change quickly. There are rumors of Winslow being included in a deal for Butler with the Heat saying no. That tells you that the Heat value him and will give him good run this year. Outside of the Nerlens Noel-esque defensive stats, Winslow has improved his shot and it has shown in the preseason. Only 22 years old, I think Winslow offers high risk/ reward that you look for with your last pick. Brook Lopez – Lopez had a terrible season last year, so his draft stock likely plummeted. Back in the East, I think Lopez will face lesser competition and more space, which could lead to regression to the mean. Lopez used to be a tremendous fantasy asset but played on a bad Lakers team that did not utilize him well. If he’s utilized the way Al Horford was used in Atlanta under Budenholzer, then it could be a sneaky good year for Lopez. 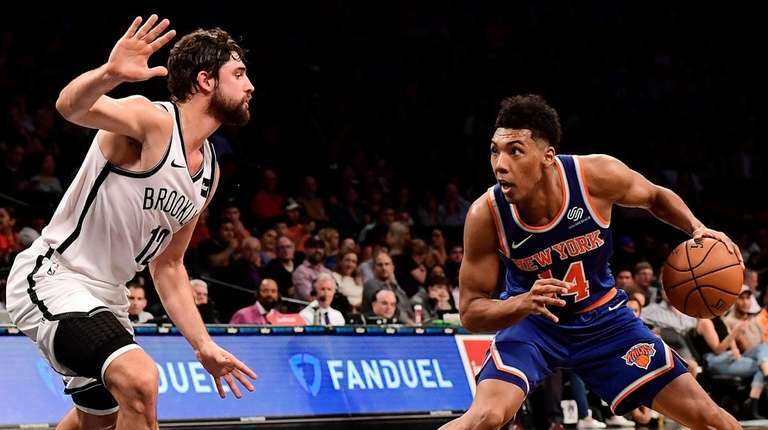 Allonzo Trier – Only rave reviews so far for the undrafted Trier. If the Knicks scored with this FA signing, they could have three impressive rookies in the rotation. The rebuilding Knicks need to give Trier some run to see how real his game is. I may not draft him, but he is on my watch list after this impressive preseason run. Mo Bamba – Bamba could potentially be elite in blocks and should not be drafted this late in fantasy. Granted he will not start, and may see limited time on the floor to start, but over 2 blocks per game and a potential three as well, needs to be owned. Dario Saric – Many mouths to feed in Philly for both the first and second units, but Saric is still budding and continues to impress. He is going in the latter stages of the middle rounds and could be a steal at that price. There is less competition on the depth chart at the forward spots compared to the guard spots, so Saric should be on the floor a ton. 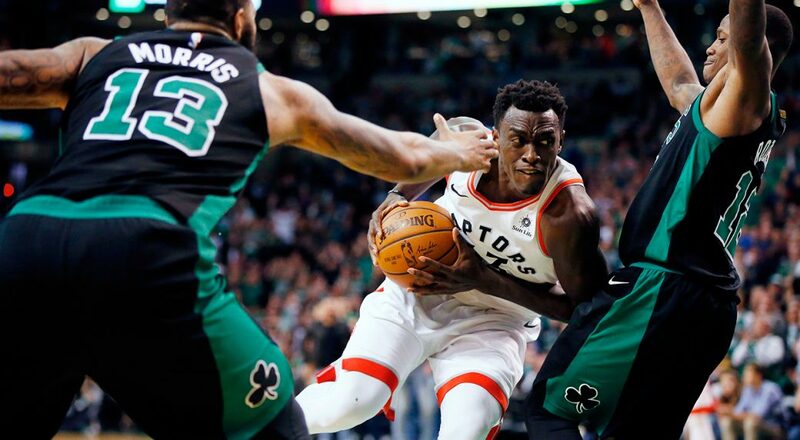 Pascal Siakam – Siakam is a high motor player who will be a menace on the second unit this season for the Raptors. He will spell Jonas Valanciunas in smaller lineups and will also relieve Serge Ibaka, who is getting up there in age. Athletic players like Siakam are the perfect flier, especially when minutes seem to be available for them. The cream of the crop athletically slowly rise to the top. Tomas Satoransky – The point-forward who filled in admirably for John Wall last season is now being groomed to play numerous positions this coming season. Scotty Brooks knows he has a playmaker in Tomas, and I think we will see him playing all over the floor. He provides cheap steals and assists from a shallow point guard position. Good luck in all of your drafts. Follow me on Twitter @Mel_Reich and check out my weekly Beyond The Glory column for sneaky waiver wire pickups that could help you become a league winner. Sorry to be off topic but… it’s a bit pressing right now… in roto 9 cat 12 teams, who should i keep : Bagley or Giles… ? I’m more impressed with Giles, so i’m inclined to drop Bagley and get Giles off wavers in a couple of my teams…. Opinions ? @Dragos: I have a feeling Giles will make my western conference list, but I don’t know if I drop Bagley who can be a force on both sides of the floor. I also think P.J. Tucker has to be considered for the western conf list, just 11% owned in Yahoo… IMO he is capable of Ariza type numbers, maybe less steals, but i’ll take that in competitive leagues.